PHILADELPHIA (KGO) -- Neighbors say a dog saved his owner from a house fire in Philadelphia. The fire started around 4:30 a.m. Sunday while the homeowner was still sleeping. Her dog, Che, ran to her and started barking loudly, waking her up, according to officials. When firefighters arrived, they reportedly found the woman unconscious with the dog on top of her. "The dog stayed on her chest the whole time, which prevented her from being burned totally," neighbor Adele Butler said. Butler says firefighters found the woman that way. The woman is in the hospital in critical condition with burns over 50 percent of her body. 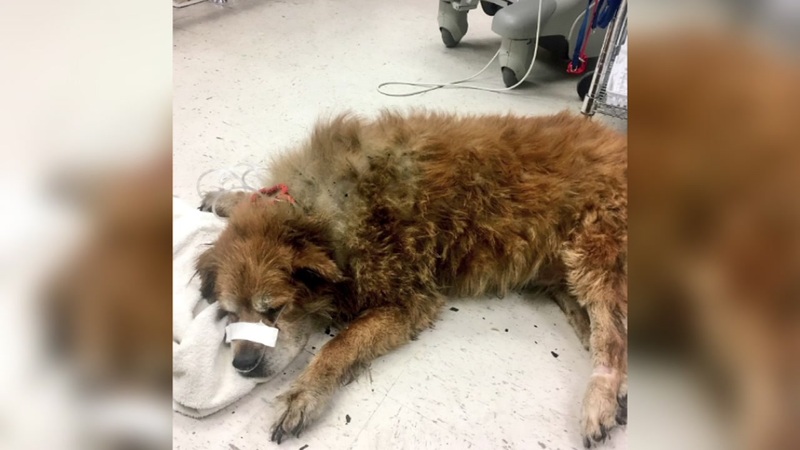 Firefighters used oxygen to resuscitate the dog. He is recovering at the animal hospital. For more stories about pets, click here!